Sunshine Mackenzie has it all…until her secrets come to light. Sunshine is living the dream—she’s a culinary star with millions of fans, a line of #1 bestselling cookbooks, and a devoted husband happy to support her every endeavor. Sunshine Mackenzie has it all… until she gets hacked. When Sunshine’s secrets are revealed, her fall from grace is catastrophic. She loses her husband, her show, the fans, and her apartment. She’s forced to return to the childhood home—and the estranged sister—she’s tried hard to forget. But what Sunshine does amid the ashes of her own destruction may well save her life. “A clever beach bag must-have” (People) from Laura Dave—the author of the “addictive” (Us Weekly) and critically acclaimed bestseller Eight Hundred Grapes— “a smart, fun read about trying to live an authentic life in the age of social media overload” (PopSugar). Laura Dave has already won adoring fans everywhere from Hollywood to the heartland. Now, with a slew of rave reviews and astute insights about modern love, The First Husband is certain to deliver her breakout success. Los Angeles–based travel writer Annie Adams thinks she has it all. Nick, her longtime film director boyfriend, has finally hit the big time, her column is syndicated, and they’ve got a great dog. Then Nick moves out. Three months later, Annie is married to Griffin, a down-to-earth chef with a restaurant in the Berkshires. When Nick asks for a second chance, Annie is torn between her husband and the man she might have been meant to marry. 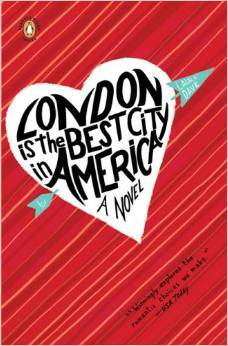 Laura Dave is widely recognized as an up-and-coming talent in women’s fiction. 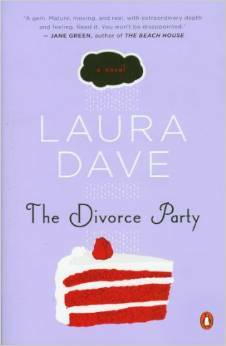 Now, with her characteristic wit and warmth, she captures a much-discussed cultural phenomenon that has never been profiled in fiction before-divorce celebrations. Set in Hamptons high society, The Divorce Party features two women-one newly engaged and one at the end of her marriage-trying to answer the same question: when should you fight to save a relationship, and when should you let go? An insightful and funny multi-generational story, this deeply moving novel is sure to touch anyone whose heart has weathered an unexpected storm. Emmy Everett is reluctantly heading home to New York for her brother Josh’s wedding. She has spent the last three years in a fishing town in Rhode Island and, having little to show for it, she doesn’t particularly want to answer the questions she is sure to face about her (ex)-fiance, her (questionable) career choices, her (unknown) future. But she is still shocked when her typically resolute brother Josh confesses he is having doubts about his imminent marriage – and the two embark on a road trip to find the woman who he thinks he is in love with.